It was after lunch on another beautiful sunny Canadian day. We were enjoying another awesome week at Moose Lake Gospel Camp in northern Alberta, Canada, with my extended family. And listen, if you are a Texan, then you can fully appreciate the absolute joy of being anywhere in July that involves the need for a hoodie and jeans. My cousin Megan was puttering around her cabin, with her two golden haired cuties running around. I had walked over to her cabin to check in on her plans for the afternoon. I was torn about how to spend my free time and wondered, of course, where the party was--I knew full well that Megan would be in the know. Besides that she pretty much is the party. Megan told me she thought that the cousins (that would be her approximate 378 first cousins from the other side of the family who all attend family camp) were headed to the beach to hang out and maybe play some sand volleyball. When I expressed my angst (and y'all--the struggle is REAL) about whether to come down to the beach or go grab a nap, Megan laughed. Listen, I love Megan. I do. She is one of my favorite people in the whole wide world. But, I was seriously offended and maybe slightly repulsed by her rude assertion. Except I didn't even know what FOMO is. "Heather, it's Fear Of Missing Out." My mouth dropped open and I may or may not have audibly gasped. "OH MY GOSH! IT HAS A NAME!" I exclaimed. This affliction. That has plagued me my entire life. I felt like some poor sick person who is finally given a diagnosis after strugging for years to figure out the cause of her suffering. So, hi, my bloggy friends. My name is Heather. And I have a serious case of FOMO. It's always been there. Ever since my kindergarten days when I was the last to be chosen to play Red Rover. (For young people these days--that is a dangerous game we used to play as kids before it was banned from recess due to all the broken arms and limbs that it caused). The FOMO was there since my early childhood when I would go sleep in my sister's room nearly nightly so that we could giggle and talk. Yes--that was all about the sisterly bonding and had NOTHING to do with either the creepy and HUGE clown painting hanging in my room or the massive spiders that occasionally found their way into our Hawaiian home. My FOMO ailment gained speed and momentum with each move during my childhood. Moving in junior high was especially brutal. I wanted to be included. To be part of the in crowd. When I was cut from basketball all together in 7th grade, the FOMO was serious business. All my friends were playing ball. And you cannot imagine the thrill of victory when I worked myself first onto the "B" team as a bench warmer, and then gradually to a starter. Well, an occasional starter, anyway. Take that, FOMO! I showed you who's boss. But I didn't keep the FOMO down for long. It returned and got the best of me. Because then we moved. Again. To a tiny little town where everyone had been together since birth. And even though I made friends (and somehow miraculously made the "A" team for 8th grade basketball), I gotta say--there was part of me that never shook feeling like the outsider and the new girl even 5 years later when we graduated high school. I could never completely shake that there was this part of me that was missing out. And I didn't like it. Not to mention that I can vividly remember the not-so-quiet whisper behind me from one person to another in geometry who said, "Don't invite Heather to that party! She thinks BYOB means bring your own Bible!" It wasn't so much that the pasture parties held great appeal to me--but I just wanted to be included with my peers. Because I am nearly 44 and I still feel I'm in its clutches. Social media does not help. At all. I'm just waiting for the scientific research to prove the absolutely correlation between the increase in social media and the increase in chronic and drastic cases of FOMO. When you can see in real time where every blasted party is, and you are at home and not at any of them...the FOMO is taken to a whole new level. Which is why I am continually working to cut the ties to social media and only use this superpower for good and not evil. And chronic FOMO does not just impact me socially. It's not just related to social gatherings and the boot camp girls with whom I used to work out back when that was a thing for me. I now have a name for this bothersome nagging feeling in regards to entirety of my life. As I spend my days doing exciting things like folding 7 loads of laundry and planning how to feed my family of 5 with as little cooking effort as possible and plotting how to pick up the children at various locations all at the same time. Every mother knows the logistical nightmare of the Mommy Taxi. Side note: Take heart, younger moms. One day your oldest dumpling will drive. And when you take even one kid out of the equation, you will be shocked at the sadness in your heart that one less kid needs you to arrange their every pick up and drop off. 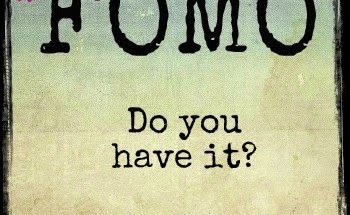 I seem to carry this nagging feeling of FOMO all throughout these busy days. When I can't shake this itch to do something bigger. To chase some elusive dream. To be more purposeful. To change the world for orphans and tell their stories to the entire globe, sparking a ripple effect that ends the orphan crisis. I can't shake this restlessness to travel the world and see all that needs to be seen and to write a book. That actually gets published. Instead of sitting on my hard drive somewhere. And to move people to run their race in life with great gusto. I can't shake this aimlessness throughout all my mundane and tedious days that I was made for something MORE. And I don't mean more housework or bill paying or laundry or cooking. I mean more bigger things. I am the granddaughter of two entrepreneurs. Which is why I went to Baylor in the fall of 1989 with that declared major. After my father's death, I felt a call to do something different. And I've never regretted my degrees in social work or my career in adoption. But there is this part of me that wrestles with FOMO. Because I cannot shake the intrinsic desire to create something. From nothing. And nurture it to grow and evolve and become its own thing. To be perfectly honest, this is never more clear to me than when I feel the sting of envy when someone else's big idea takes off. While I am where I am with the people who I'm with and doing the things I know I'm supposed to be doing today, FOMO still taunts me. It teases me that there's something else. And I'm totally missing out. It can be quite defeating to deal with FOMO. The end result is a discontentment that is rather difficult to shake. I'm just being completely honest. I haven't figured out a cure or a remedy. But thanks to my cousin Megan, I can now give it a name. From one man, he made all the nations, that they should inhabit the whole earth; and he marked out their appointed times in history and the boundaries of their lands. I'm learning to tell God when the FOMO ramps up and to ask him to help me cast it all to him. I'm learning to ask him to remind me that he has a plan? That I am doing exactly what I am meant to do in this appointed time, in this appointed place, for this appointed season? Just last week, as I was wrestling against my FOMO something fierce, I asked God to please just help me hear his songs over me. To just comfort me with his gentle reminders as he so often does through the leadings and promptings of his Holy Spirit. And because it was particularly bad that day, I did what helps me the most when I'm wrestling. I went for a walk with my playlist blaring so I could "have it out" with God, mentally praying as I walked. And there it was. His answer to my request for peace over my FOMO. I asked him to tell me what I was made for and to remind me what to do with it so I could kick the FOMO and it's discontentment. As I suddenly heard a bird singing who then flew right in front of me, I felt these reminders hit my brain. I have this amazing husband who I know is a gift from God. I am made to be his wife, and to strive to be his helpmate every day. I am made to encourage him and care for him and pray for him and love him. I am made to be his safe place to land and to create a home that is our shelter and refuge. I have these three kids whom God gave to me. I am made to be their mom, and to never overlook the importance of every tedious thing I do to serve them because it's all a ministry and a way to show them love. I am made to guide them, love them, spur them on, discipline them, train them, and cheer for them. I am made to do all the things that mamas do and to never underestimate the power of such simple tasks. Because there are mamas who don't get to do it. And there are children who don't have a mom to fold their laundry and make their dinner. It's a gift. I have friendships and family members in my life. And I am made to be their friend and to pour out love and grace and to connect with them and be a presence for them. 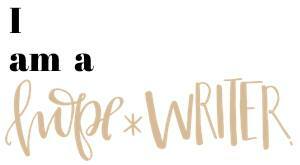 I have a blog that is a gift and an outlet for my creative writing energy. 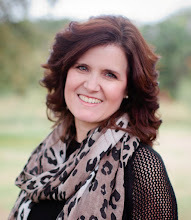 I am made to be obedient and to blog away, letting the Lord use it how he sees fit. I have been given other opportunities, at church and at my children's schools. I am made to make the most of every opportunity. To steward EVERY SINGLE opportunity well. I am doing what I am meant to be doing with and for the people I have been placed with here in my life. For such a time as this. And as for all those other dreams...as for all those things I think I may be missing out... I am to turn them back to the Lord. I am to continue to pray about them and to ask God to open the doors he has for me, in his time and in his way. I can dream big. I can imagine all sorts of things that are the "not-yets" or "still-to-comes" or "hope-it-becomes-so." I can thank God for all those ideas and all those dreams and all those imaginings. And I can say, "In your time. In your way. Just guide me, day by day." And I am learning to rest there. I am learning to ask God to give me eyes to see the party he's given me, in this very day, and to help me quit missing out on THAT because I've jumped ahead to other things. May I never miss out on one single even tedious or mundane moment that the good Lord has chosen to give me.